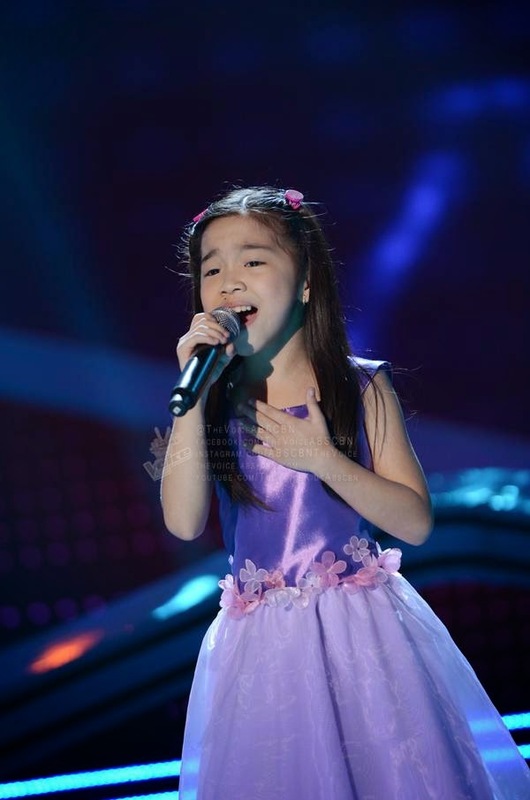 Manila, Philippines - Team Lea's young artist Darlene Vibares performed Dolly Parton popular song "I Will Always Love You" on the live semi- finals of ABS-CBN's hit singing competition 'The Voice Kids' Philippines on Saturday, July 19, 2014 at the Newport Performing Arts, Theater, Resorts World Manila, Pasay City. The 10-year old kid from Antipolo City is among the Final 2 artists under Coach Lea Salonga. Aside from Darlene, other artists aiming for a slot in the Grand Finals are Team Lea’s Tonton Cabiles, Team Bamboo’s Edray Teodoro and Juan Karlos Labajo and Team Sarah’s Darren Espanto and Lyca Gairanod. Unlike in the first season of the main version of the franchise, the results in the Live shows of the kids version will solely be from the outcome of the public's votes. The four artists who will get the highest percentage of votes from the public will move to the Grand Finals on Saturday and Sunday July 26-27,2014.
subscribers. The tariff is P1.00/vote for ABS-CBN Mobile, P2.50/vote for Globe, TM, Smart and Talk 'N text and P2.00/vote for Sun Cellular subscribers.